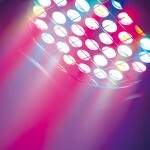 Producing warm colors has always been a problem for LEDs. 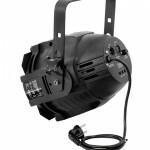 Eurolite has solved this problem and presents the ML-56 RGBA. In addition to its red, green and blue LEDs this spot also possesses amber-colored diodes. Thanks to the fourth color, users now are much more flexible considering the design and thus the influence on the atmosphere. 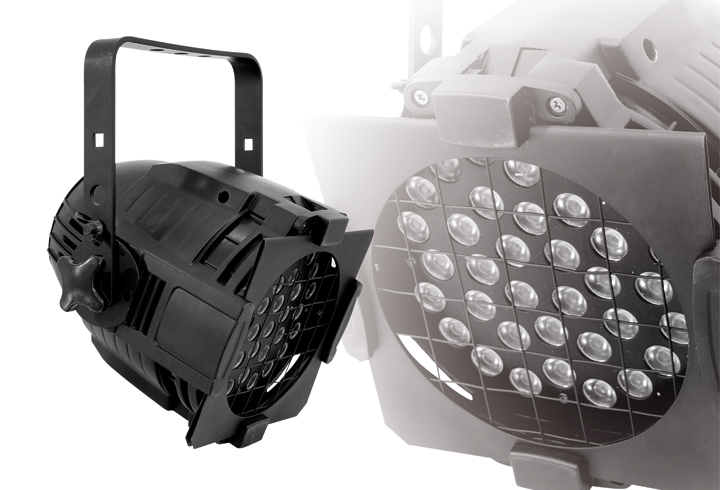 The ML-56 RGBA makes its first appearance at Plasa London. 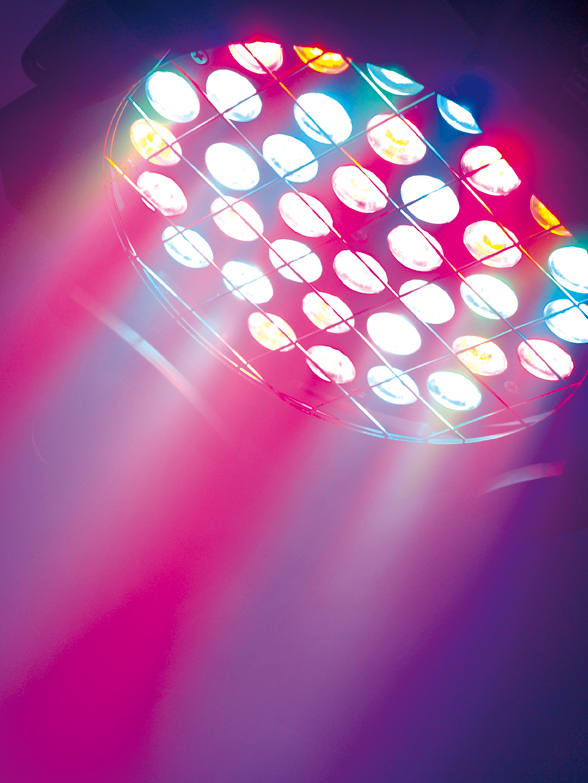 With its new ML-56 RGBA, Eurolite now offers a spot with a warmer color temperature – similar to incandescent lights and their red colors. By adding the color amber, which is composed of red and yellow, the ordinary RGB color mixing can be “warmed up” individually with the fourth color. Especially noteworthy are the warm orange tone, harmonious color transitions – from red to green in particular – and the mixture of white, which is similar to incandescent light. 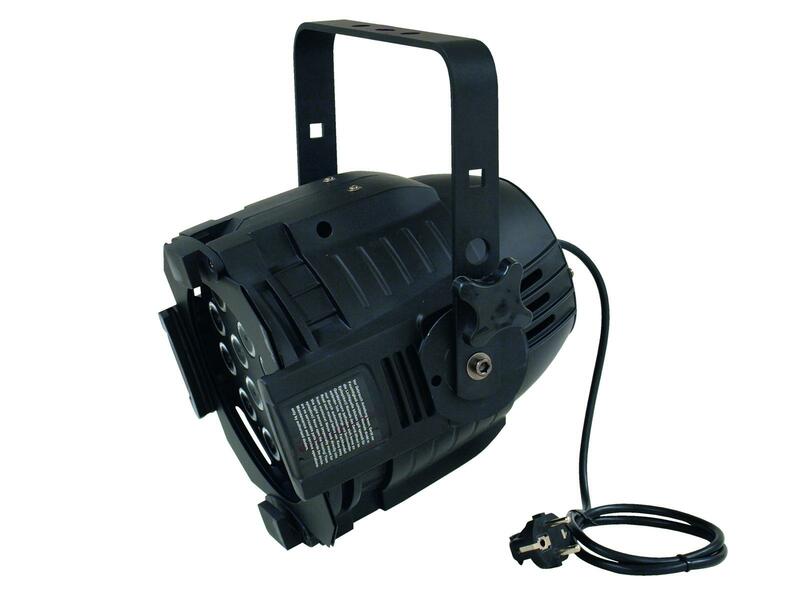 Altogether the ML-56 RGBA has been equipped with 36 LEDs, each with 3 watts power and a beam angle of 30°. 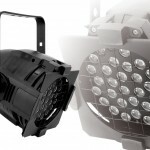 It can be operated with four or six DMX channels and is available both in black and silver. The common small DIP switches were replaced by a full menu with display and buttons. 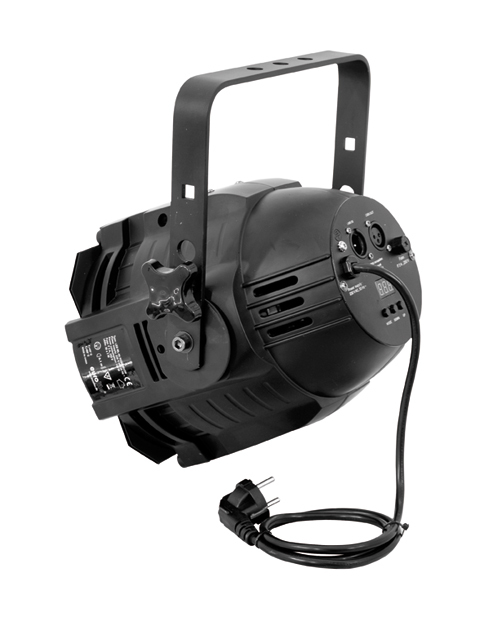 In so doing, setting DMX becomes considerably easier and 15 color presets can be adjusted directly at the device. Compared to normal parcans, the ML-56 RGBA are definitely more robust and hence better suited for the road. A fact which is underlined by the weight. The ML weighs five kilograms and therefore twice as much as parcans. 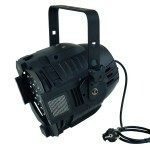 But the spot is very versatile and not limited to mobile use on stages or at exhibitions only. Lounges, bars and clubs can also benefit from its remarkable color mixture.